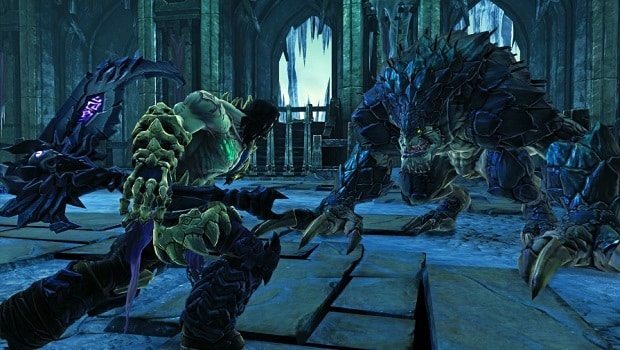 THQ have released a further trailer for Vigil’s action adventure Darksiders II. The sequel follows a parallel storyline with that of the original game, which sees Death, one of the four horsemen of the Apocalypse, as the central protagonist. Death finds himself propelled through light and dark realms as he attempts to redeem his brother War, who finds himself blamed for prematurely starting the Apocalypse. Darksiders II is currently available for Wii U across North America, and will release in Europe on November 30th.